The new high performance Diablo CAM 2 Light module from Italian manufacturer Duolabs is twice as fast and copes better with HD channels than its predecessor. The Diablo CAM 2 Light has two card readers, one standard and one small SIM size. To programme the Diablo CAM 2 you will need a CAS Interface Programmer (CAS2, CAS2+, CAS3, CAS3+) running CAS Studio version 8.7 or higher. The module works well with almost all types of encryption including Conax, Seca (Mediaguard), Viaccess, Cryptoworks, DreamCrypt, Nagravision, DRECrypt. The module also works well with popular splitter devices as well as most CI embedded TV's such as Samsung, LG, Sony, Philips, Loewe, Metz, Technisat, Panasonic, Toshibe, Sharp. 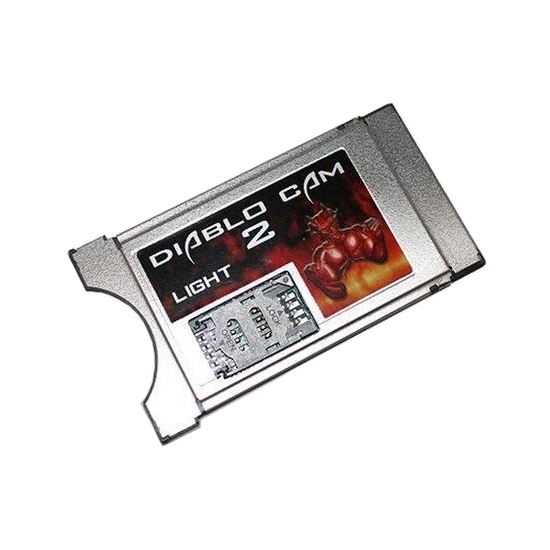 Click the button below to add the Diablo CAM 2 Light to your wish list.